I somehow imagined my dress to be covered in polka dots and even tagged it as such but then I realised that actually they're more like raindrops. Anyway, doesn't matter because I love polka dots so I'm just going to pretend it is what I thought la la la la la la la I can't hear you la la la la. My love affair with polka dots is really only second to my love affair with fatty foods. 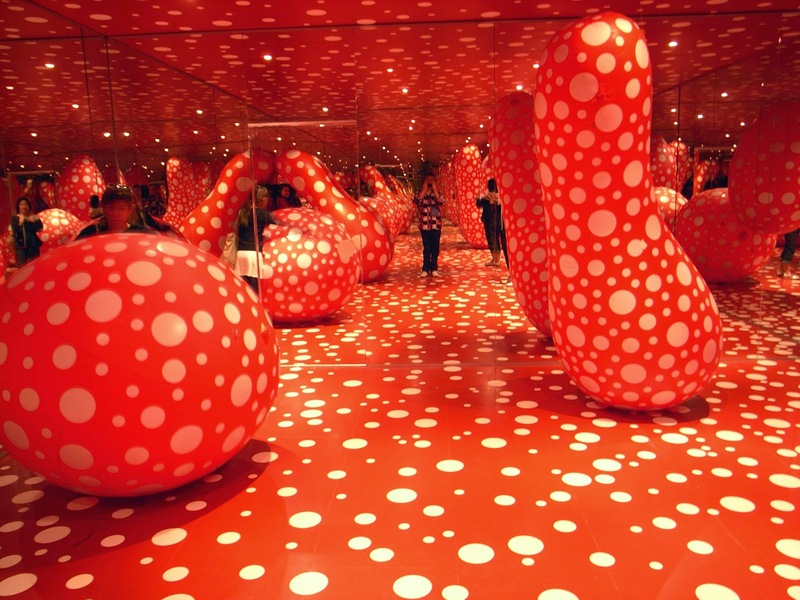 So you can only imagine how much I wish I could check out the Yayoi Kusama Obliteration Room in person and paste some stickers and be a part of the art. This is totally going to be my inspiration for the house of the future. My aunt first told me about Kusama a couple of years ago. She's an incredibly fun artist who uses dots on everything she does in a myriad of colours. I checked out her 'Dots Obsession' when I was in France and I loved it so much, I wanted to take it home but it didn't fit into my suitcase. Photo taken by uncle John. To fulfill my Kusama Kraving (this should totally be a thing), I got a keychain and a folder. 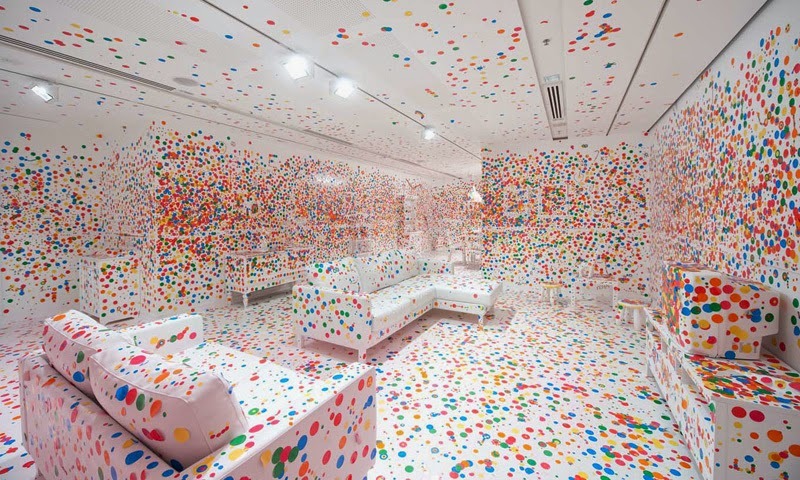 But the room is the one I want (Please note for future birthday and Christmas presents. Thanks.) She also did a collaboration with Louis Vuitton in 2012 so LV bags and such are also welcome. Anyway, if you're a more fortunate individual than me, please please please check it out and maybe get a souvenir. Thanks for reading!